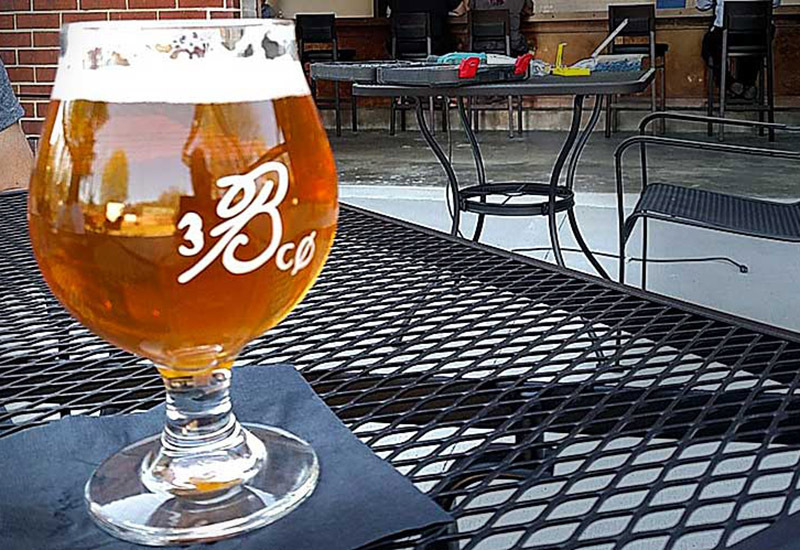 Cary, NC – When we last told you about USA Today’s contest to find the best new brewery, Bond Brothers Beer Company was in second place. In a few short days, the Cary brewery was able to close the gap and was officially named the best in the country. 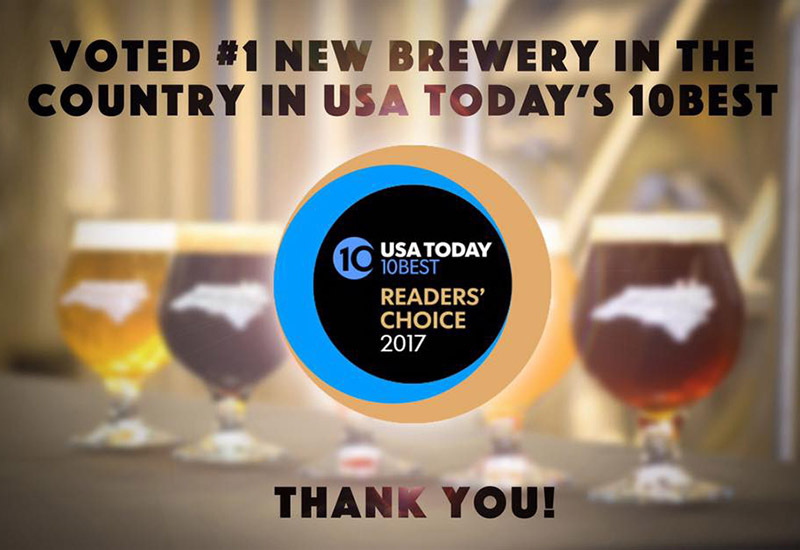 For background, USA Today’s 2017 Readers’ Choice awards included a category for Best New Brewery, with the top 20 competing based on the votes from readers and visitors to the website. Breweries spanned the country, all the way from Bond Brothers on the East Coast to Portland on the West Coast and Missouri and Chicago in the heartland. In the end, Bond Brothers won out, coming in first place. And co-owner Andy Schnitzer said it will help boost the company’s brand. “A lot of people who have never heard of us or have never visited our brewery are now going to start taking an interest,” Schnitzer said. With such a big first year, Schnitzer said it would not be possible without the community support. And with the award, Schnitzer said he and the whole Bond Brothers team are ecstatic. Bond Brothers Beer Company is a smaller brewery when compared to the other competitors in the USA Today contest, such as the second place finisher Scofflaw Brewing Company, based in Atlanta. But Schnitzer said they have been bolstered not only by the Cary community but by the state in general. The USA Today contest was for the best new breweries and Schnitzer said Bond Brothers is coming up on its one-year anniversary soon. That anniversary is coinciding with Bond Brothers hosting the Mid-Town Square Spring Festival. While the grand finale of the Spring Festival is a concert by Durham-based band the Mountain Goats at 5 PM, Schnitzer said the event will start at noon and include lots of vendors. 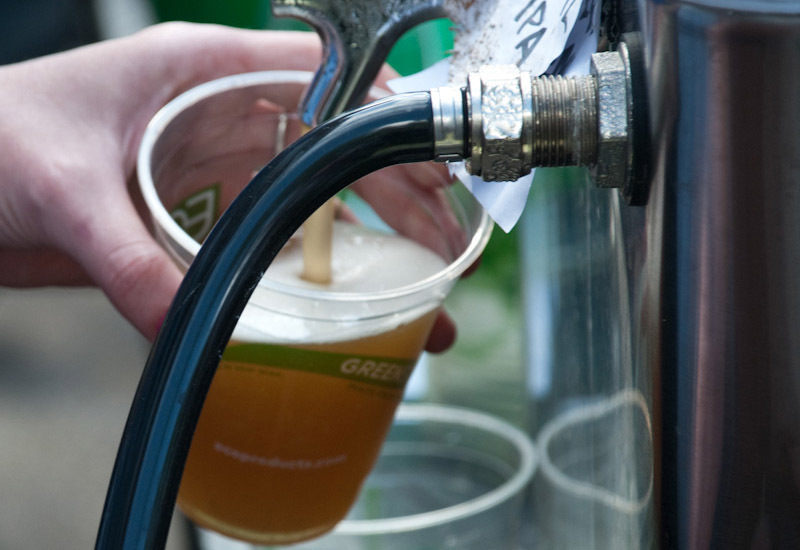 Spring Fest takes place on Saturday, April 1, 2017 at the Bond Brothers Beer Company brewery at 202 E Cedar St. in Downtown Cary.